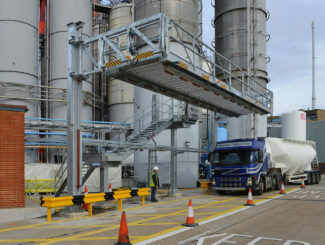 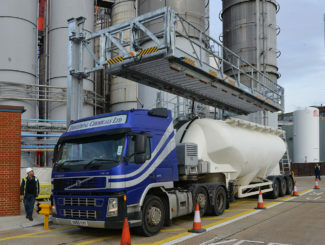 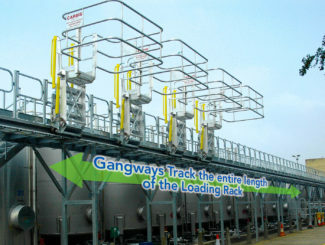 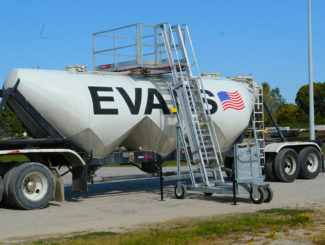 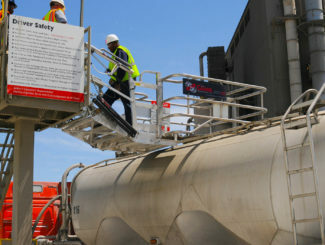 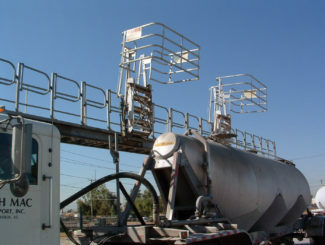 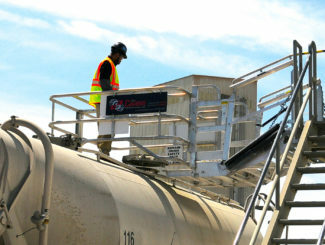 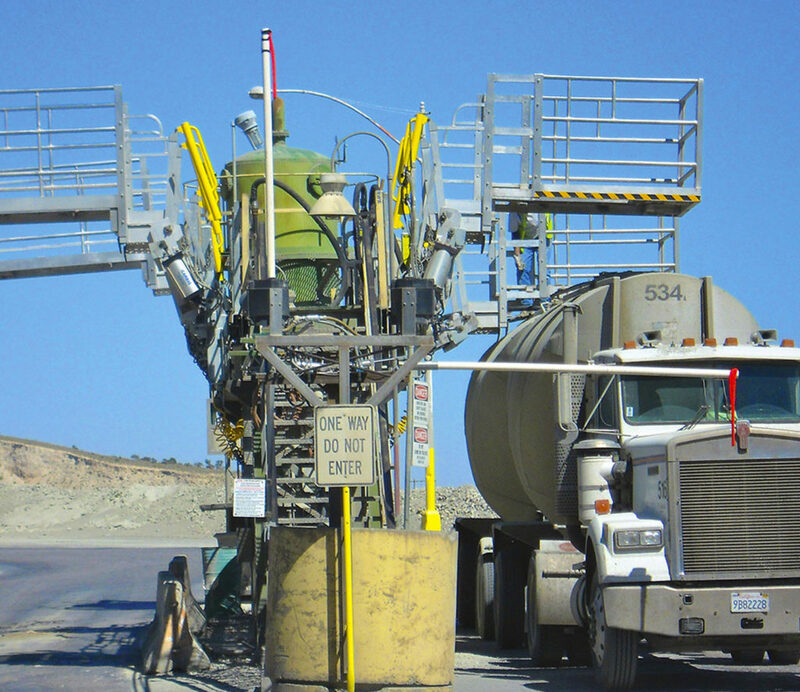 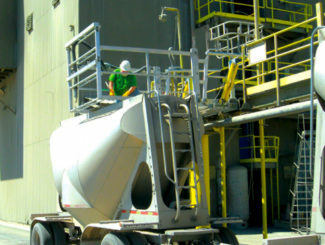 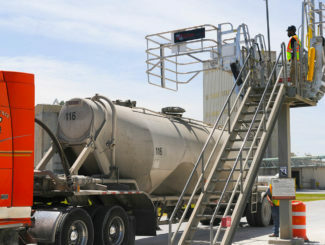 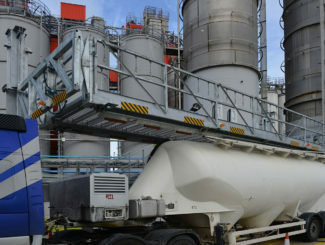 Hopper trucks, or pneumatic trailers, often present a unique blend of challenges at the loading site. 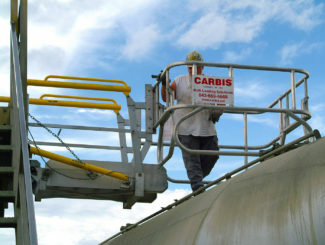 They are susceptible to spotting challenges. 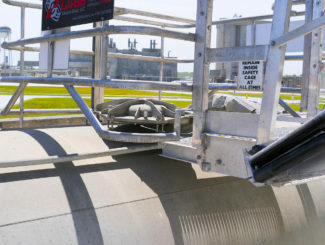 A well laid out spotting plan is required, but unlike other trucks, hopper trucks often feature multiple hatches which must be accessed. 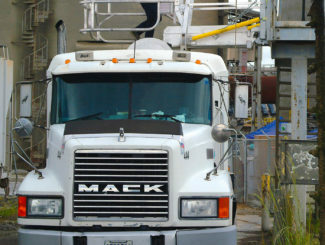 An improperly spotted truck is an accident waiting to happen. 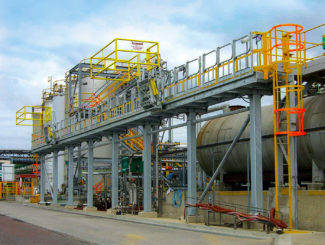 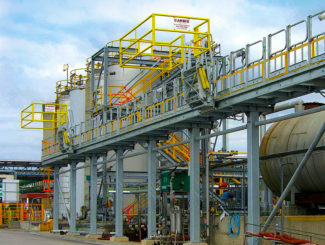 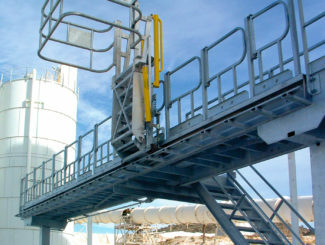 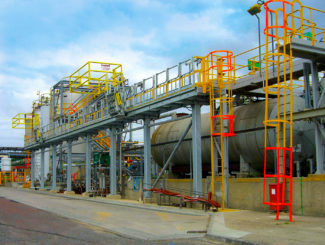 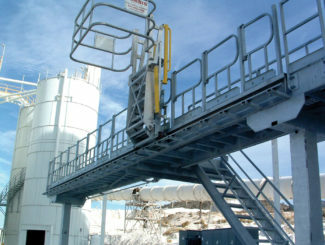 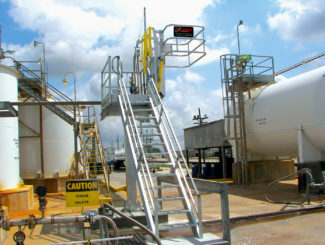 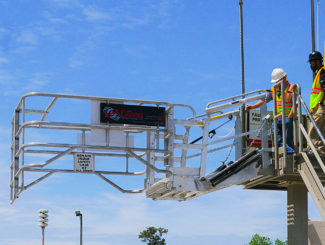 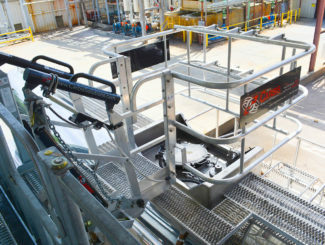 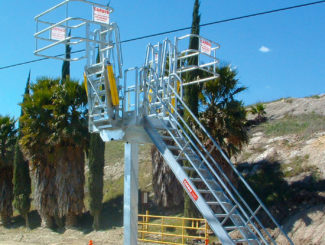 Flip up panels, lift resist devices, spill containment pans, and CI cage walls are just a few of the tools we use to design solutions for you and your employees. 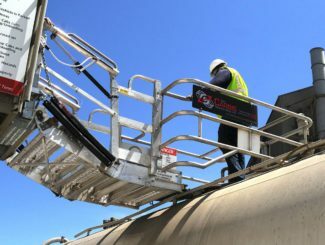 Give us a call at Sam Carbis Solutions Group for hopper truck solutions which keep your people safer and your products flowing. 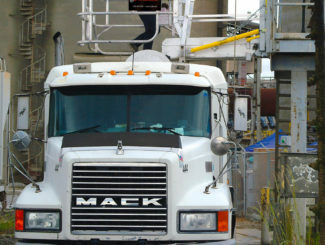 When faced with multi-hatch truck situations, operators are often caught in a bind. 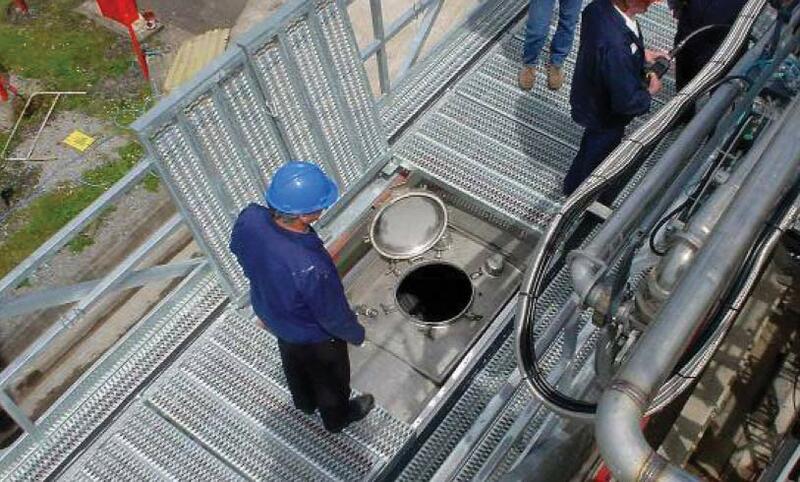 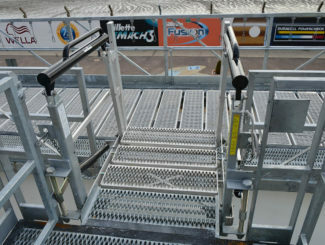 The fall protection that keeps them safe can interfere with the opening and closing of the hatches themselves. 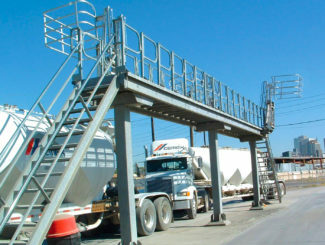 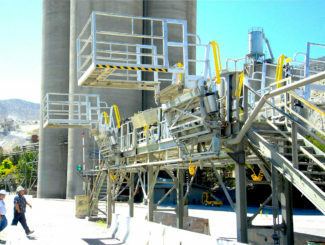 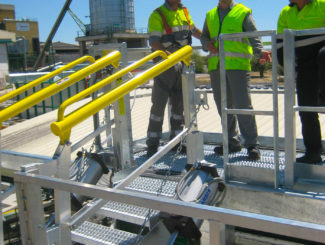 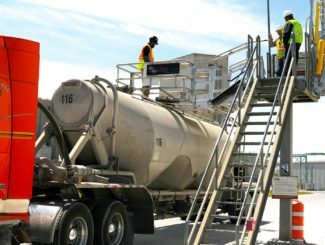 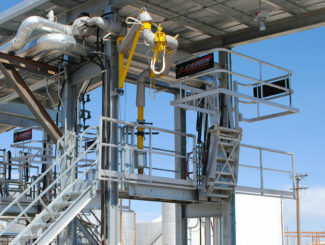 Contact Your Hopper Truck Loading Experts Now!